A review of Protective Health Insurance Company finds the Protective Life Corporation of Birmingham, Alabama. Protective Life, as its name implies, offers life insurance in the U.S. and Canada. The company also sells specialized insurance and investment products. Type your zip code into the free toolbox above to find great health insurance rates in your area! Protective Life and Annuity operates as a subsidiary of Protective Life Insurance, selling insurance products solely in New York State, in which Protective Life Insurance is not authorized to sell insurance. Protective Life Insurance Corporation’s history originates with its Protective Life Insurance Company brand, which was founded in 1907 by Alabama Governor William Dorsey Jelks. The company grew quickly and just fifty years later, in 1957, Protective Life had $1 billion of insurance coverage in force. Protective Life and Annuity was acquired in 1983, West Coast Life in 1997, and Chase Insurance Group in 2006. Lyndon Insurance has been functioning as a Protective Life Insurance subsidiary since 2000. By the time the company’s 100-year anniversary rolled around in 2007, Protective Life had more than $252 billion of insurance coverage in force. Just two years later, that number had increased to $445 billion. 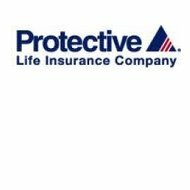 At the end of 2010, Protective Life completed its purchase of United Investors Life Insurance Company from Liberty National Insurance Company, a company with which it also entered into a coinsurance agreement. It also has an office in Quebec, Canada. Term life insurance provides coverage for a pre-determined length of time–usually a year–and then is renewable. Depending upon your age and health, your insurance provider may choose to simply renew your policy automatically, or ask that you undergo a physical and then possibly change your premium. Protective Life’s term policies come with a selection of optional benefits and riders. Universal life insurance plans usually accrue cash value, against which you can borrow money. In addition to death benefits, these often prove beneficial for members who develop serious illnesses and conditions unexpectedly, since they can use the money while they’re alive to help cover expenses. However, any drawdown of the cash value means a lower payout if the policyholder dies. Survivorship life insurance is also known as joint survivorship. This insurance coverage is meant for two people–mainly a husband and wife. It’s often more affordable to purchase a single survivorship policy then two separate life insurance policies. However, it only pays out upon the death of the second policyholder. Therefore, when the first policyholder dies, the second policyholder would not get any financial benefits from the policy to pay any funeral or death expenses. If you’re interested in any of these, or the other mentioned life insurance policies from Protective Life, you should call a representative directly at the numbers listed above. The jobs can be found at one of the company’s eight regional offices. Protective Life stresses the importance of health and wellness for its employees. The company has a registered nurse, nutritionist, and Employee Assistance Program counselor on staff, and offers walking trails, a fitness center, and on-site immunizations. Additionally, Protective Life awards employees financially for keeping a predetermined fitness level and biometrics. Protective Life Insurance Corporation sells life insurance, not health insurance. To find providers in your area and get online health insurance quotes, type your zip code into the box below.